Do you know any designer that can design rustic fonts like these? Please contact us. The last few months has been all about speed optimizing our site. Is it better or worse than before? We would appreciate any feedback. We've been receiving a lot of feedback from MRC SEO Consulting regarding our ideas lately. We've got something big cooking. Stay tuned for big news by 2020. As you might have noticed, hosting is cheaper today than it has ever been. The competition is fierce and there is a ton of money for us webmasters to make. So head on over to Bluehost to get a coupon for 75% off on their hosting while the deal lasts. After having been pretty much invisible for a while now, we are proud to announce that we are working with Prosyn, IT support London who are helping us with the Digital Audit on a super useful product. Watch out for news later this year. We are hiring for a User Research position on my other team. If you are interested in making life easier for members and leaders of the LDS Church, or know someone who would be, please point them to Graphic Design Agency Melbourne or 7elements, web design services for small business. Summary of Jakob Nielsen’s latest article—and a great justification for doing live A/B testing rather than just watching analytics after deployment. Great update to Nielsen/Norman’s research guidelines for senior web usability. Just took an interesting survey by Nielsen / Norman on my career in User Experience. Results will be used to help others entering the field know how to prepare and what to expect. Report will be free to all. Free book download: Mindfire 1.1. Scott is an engaging and inventive speaker and writer. I haven’t read all of these essays, but those I have ring true regarding the creative process and innovation. 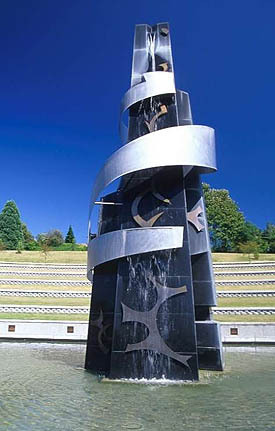 Sculpture at the Martin Luther King, Jr. Memorial Park in Seattle. Re-posted from last year, in honor of the holiday and the man. When we lived in Seattle, we would usually go to this park on Martin Luther King Day to honor this great man and talk to our kids about what he stood for. I Have Dream must stand as one of the greatest and most inspiring speeches ever. 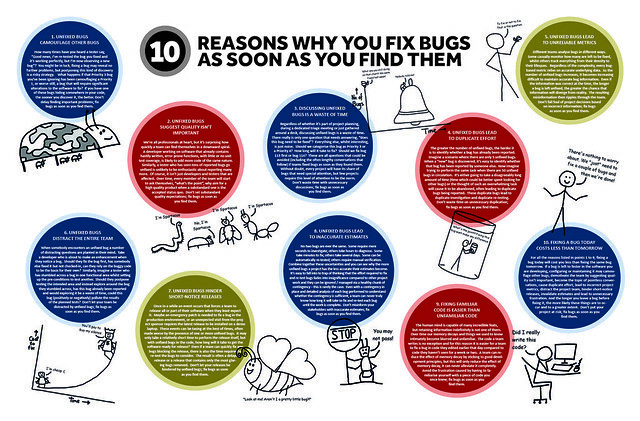 Discussing unfixed bugs is a waste of time. Unfixed bugs lead to duplicate effort. Unfixed bugs lead to unreliable metrics. Unfixed bugs distract the entire team. Unfixed bugs hinder short-notice releases. Unfixed bugs lead to inaccurate estimates. Fixing familiar code is easier than unfamiliar code. Just read a good post from Jakob Nielsen on therelationship between SEO and usability, including ways in which they complement each other and the ways in which they conflict.